It's not easy to get a good night's sleep in a crowded, cluttered bedroom. it's easier to sleep when you’re not worried about folding all that laundry in the corner, and it’s easier to wake up when you don’t trip over the junk on your bedroom floor. 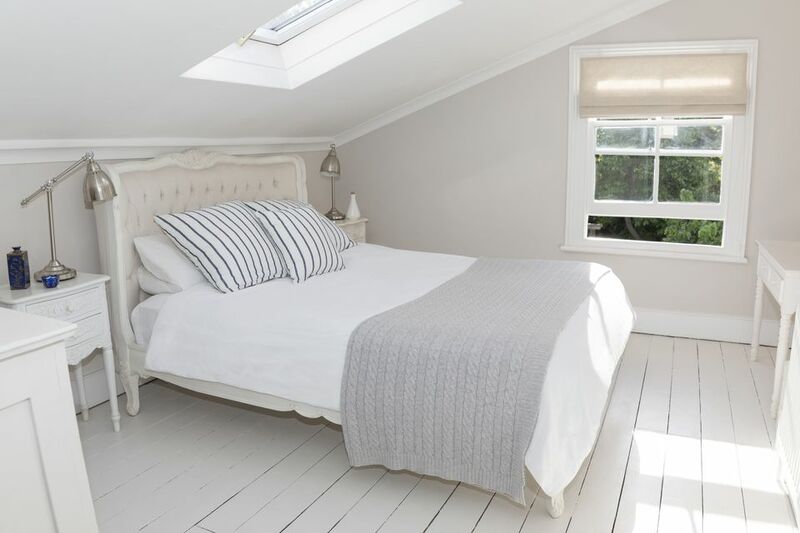 If you have a small bedroom, the space constraints may make it that much harder to keep it calm and serene—but that just means you need to get a little more creative in keeping a small bedroom clutter-free. Much of what’s sold as necessary bedroom furniture isn’t really necessary. A bench at the foot of the bed, a vanity table, and a large armoire might look nice in a magazine, but in the average home, all that furniture would make it impossible to walk. All you really need in your bedroom is a bed, space for the items you need beside you while you’re sleeping (water, tissues, etc. ), and somewhere to store your clothes. You do not need a desk, or a vanity or an extra dresser. Even better, you can use two small dressers as your night tables rather than crowding your space with two small night tables and one big dresser. In a bedroom with little furniture, it’s easy to wind up piling everything onto your nightstand. To avoid that (it’s a recipe for losing watches and jewelry), buy a nightstand with drawers. It’s tempting to buy something that’s beautiful but that has very little storage space. Resist the urge and buy something with at least two drawers. With drawers, you can keep the top of your nightstand clean and clear. Limit this space to just two or three items—maybe a lamp, a box of tissues and a small dish to hold earrings and a watch. Consider mounting your bedside lamps on the wall next to your bed to free up even more space. If your bed allows for storage space underneath, this is a great place to keep shoes or off-season clothes. Just make sure to keep the space under your bed neat and clear of dust. Items to consider storing under your bed include luggage, out-of-season clothing, gift wrap, toys, linens, and books. Consider purchasing wide, flat, plastic boxes where you can keep items clean and sorted. 4. Create a calming environment. Even if your bedroom is just one corner of a studio apartment, try to keep it free of clutter. A messy tiny room can feel like a cage, but an organized tiny room feels cozy, which is conducive to relaxation and sleep. Thinking about making a room calm can also help if you tend to associate organizing and cleaning with unpleasant chores. Be sure that there is a place for everything, and that everything has a place—even if that means moving some of your things to storage for a period of time. So you’ve cleared all the unnecessary furniture and stuff out of your bedroom. That’s excellent. But the organizing isn’t over. The smaller the room, the faster it’s going to become messy, even if you don’t have all that much stuff to begin with. Go through your room each week to remove unneeded receipts, packaging, food containers, or other items that may accumulate. 6. Get creative with storage space. In a room with few obvious storage options, sometimes you can take advantage of vertical space to create your own storage solutions. Though it's not a good idea to fill a small bedroom with lots of shelves and boxes if you don’t absolutely have to, it’s helpful to know some tricks for how to maximize space in a small room. 7. Keep shoes in their place. You don’t have to store shoes in your bedroom just because the rest of your clothing is there. In fact, if you have more storage space elsewhere in your apartment it’s often better to use that instead. But if you want to keep shoes in your room, there are a variety of ways to store footwear neatly. Consider buying a shoe bag that can be hung on the back of your closet door, or placing shoes in a plastic box under the bed.